​Frey Daytona has been making boots, by hand, in Germany for more years than Helimot has even been in business, which is 32 years. 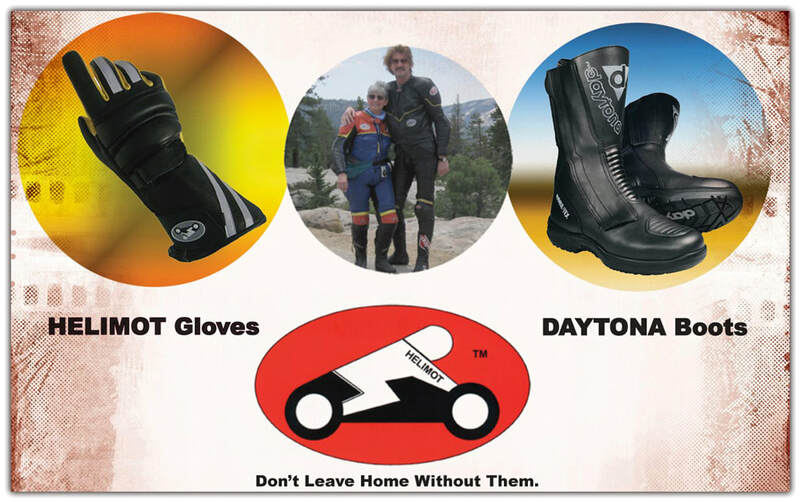 Helimot has been importing and selling Daytona motorcycle boots for 24 years, because we just cannot find a better boot. We’ve carried other boots in the past, but nothing comes close to the quality of Daytona boots. And here at Helimot we love quality. Convert your US size to European size here. ​Helimot Gloves have always been made in the USA, and still are. Each glove is handmade of the best materials we can find. Mainly deerskin. We’ve designed … and upgraded from time to time … our Helimot gloves to be as protective as possible. And as comfortable as we can make them. The increased demand for Helimot Gloves over the years speaks to the care and quality we put into each and every pair. Your Helimot gloves will last you for many happy miles. Don't know your size? This chart may help. Our Return Policy: You may return any non-consumable product within 10 days (date shipped by you) of purchase for refund or exchange. It must be in new and unused condition. You pay the shipping for the return, but if we ship a replacement product in exchange, we will pay the shipping to you. Refund does not include shipping charge. Refunds will be processed by us within 10 business days. Items that we sent with free shipping and are being returned will have our standard shipping charges deducted from refund or credit.